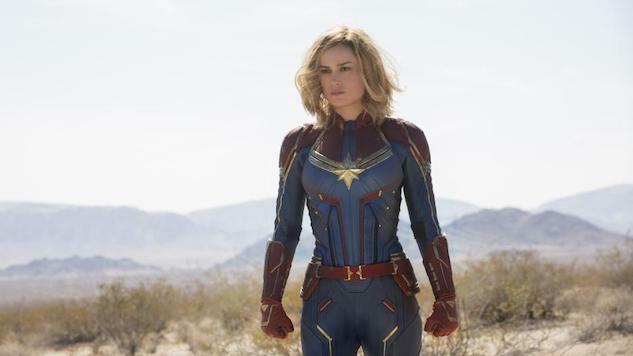 Marvel’s latest superhero film Captain Marvel has racked up a record-breaking $455 million globally on its opening weekend, making it the sixth-biggest worldwide debut in history, according to Box Office Mojo. Captain Marvel’s massive debut also makes it the highest-grossing worldwide launch of any female-led film in history, as THR points out. Marvel’s first venture into female-fronted superhero films stars Brie Larson as Vers, an intergalactic warrior who was formerly a U.S. Air Force pilot named Carol Danvers. Captain Marvel premiered on Friday, March 8, International Women’s Day, and has since captivated audiences both in the U.S. and overseas. Its opening weekend was also the seventh-largest domestic debut in Marvel’s history at $153 million, and the second-largest for a non-Avengers, non-sequel film. The last time a solo superhero film did numbers like these was Black Panther, which was under similar pressure to succeed from the industry, and both proved that representation is always the right call. Captain Marvel’s success signals to big studios that people will actually show up to the theaters for films with women in leading roles that Hollywood has historically withheld. Its box office performance also means that a sequel is all but inevitable, especially considering Marvel will be looking for big box-office performers after the Avengers series wraps up with Avengers: Endgame in April. Captain Marvel was directed by Anna Boden and Ryan Fleck, who also wrote the script alongside Nicole Perlman, Geneva Robertson-Dworet, Meg LeFauve, Liz Flahive and Carly Mensch. In addition to Larson, it also stars Jude Law, Samuel L. Jackson, Ben Mendelsohn, Gemma Chan and Annette Bening. Check out the trailer for Captain Marvel below and find out where the film landed on our ranking of the MCU.